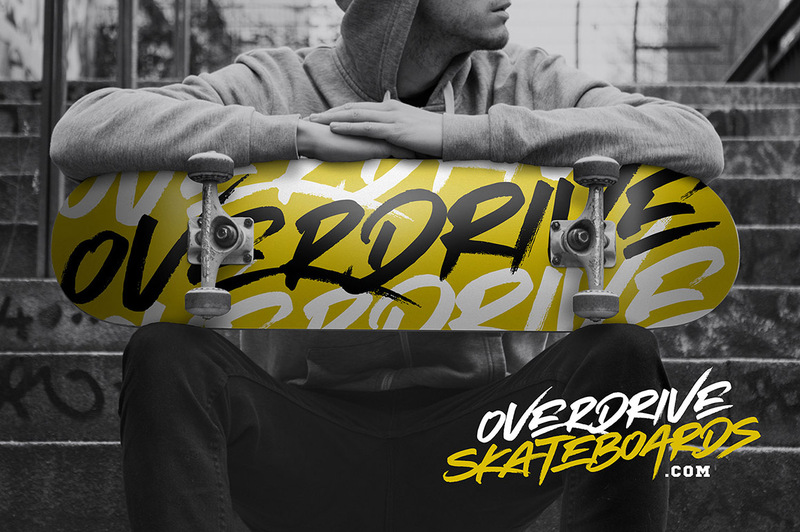 Crank up the intensity with Hyperwave Marker Font, an energetic set of brush fonts with a sharp attitude. 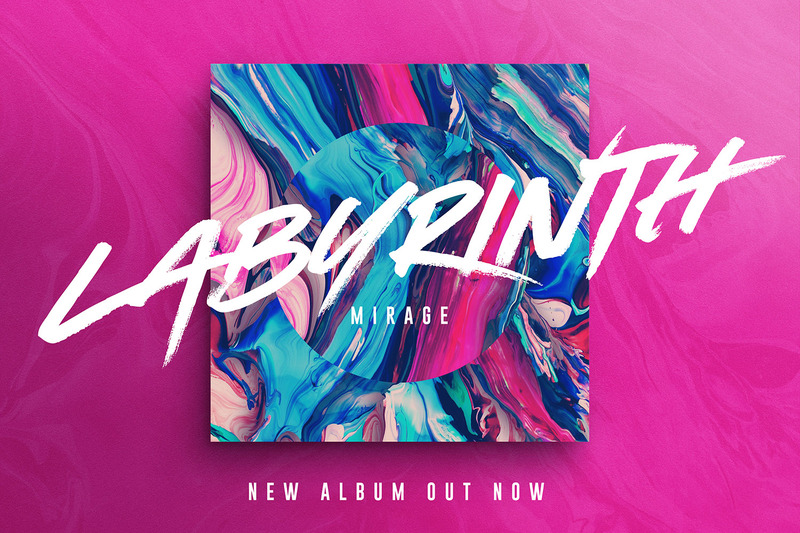 With three sets of each letter each equipped with distinctive fast brush strokes, Hyperwave is ready and raring to make a big statement on your logo designs, brand imagery, handwritten quotes, product packaging, merchandise, music projects and social media posts. 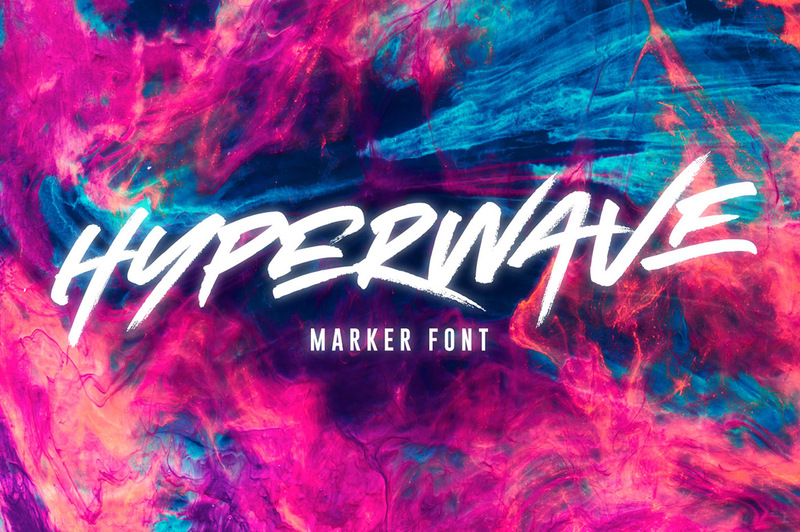 • Hyperwave One – a handmade marker pen font containing uppercase characters only, numerals and a large range of punctuation. 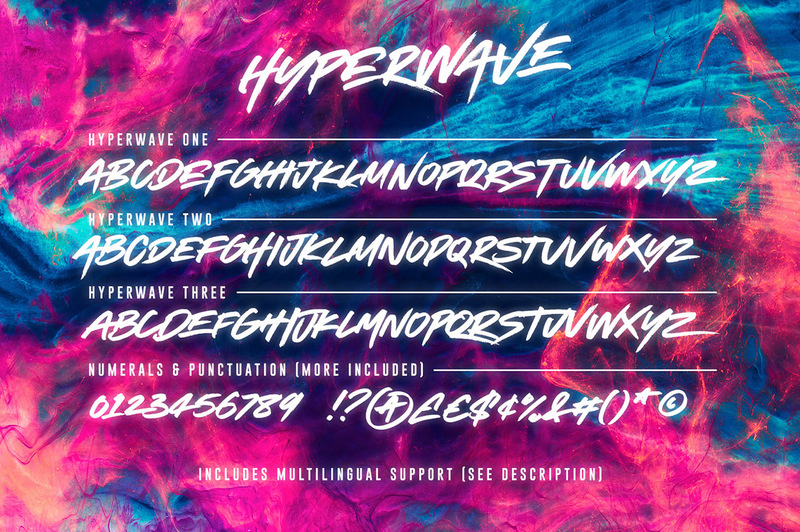 • Hyperwave Two – this is a second version of Hyperwave, with a completely new set of uppercase characters. 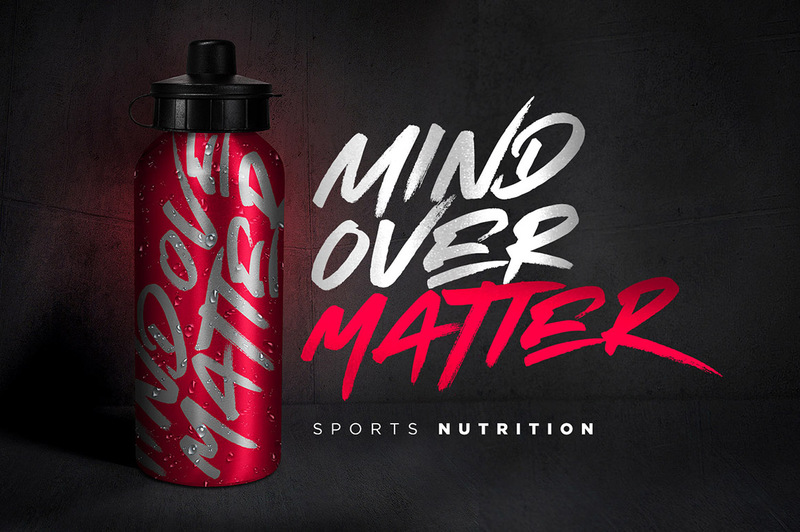 If you want to avoid letters looking the same each time to recreate a custom-made style, or try a different word shape, simply switch to this font for an additional layout option. 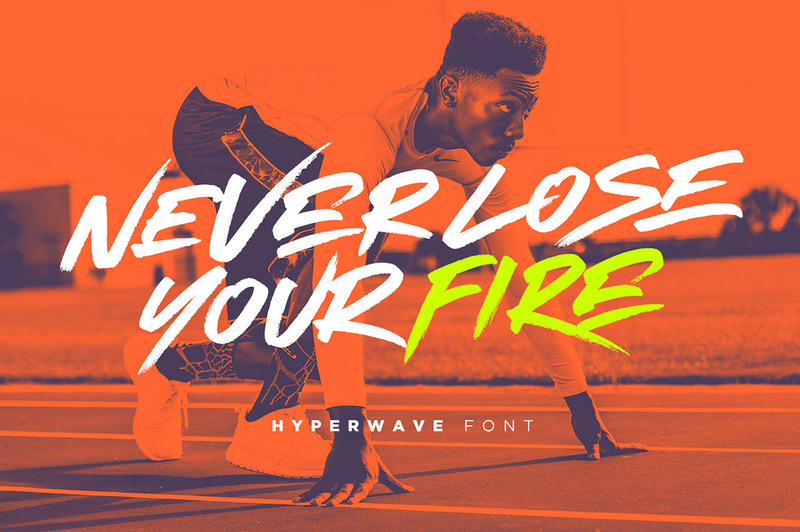 • Hyperwave Three – you guessed it; a third version of Hyperwave, with another completely new set of uppercase characters – giving you even more layout options for your text.